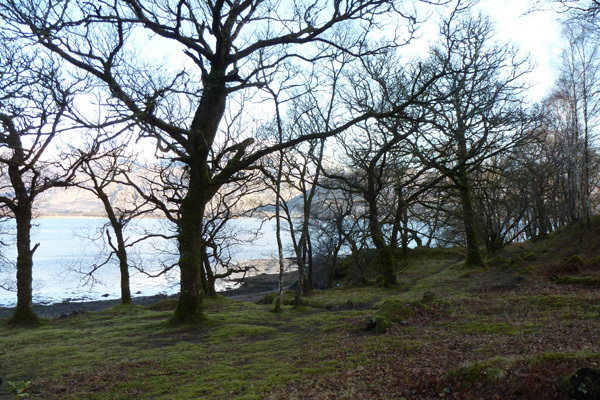 This is a lovely woodland walk in Ardgour, near Fort William, through ancient semi-natural woodland and then out onto heath. 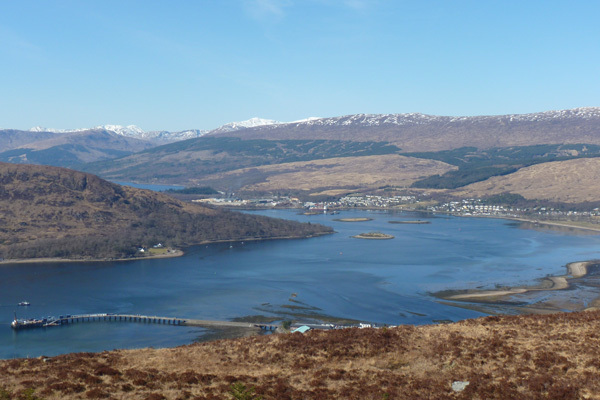 There are some lovely coastal views over Loch Linnhe towards Fort William, Corpach, Inverlochy and the Ben Nevis Range on route, as well as at the viewpoint. 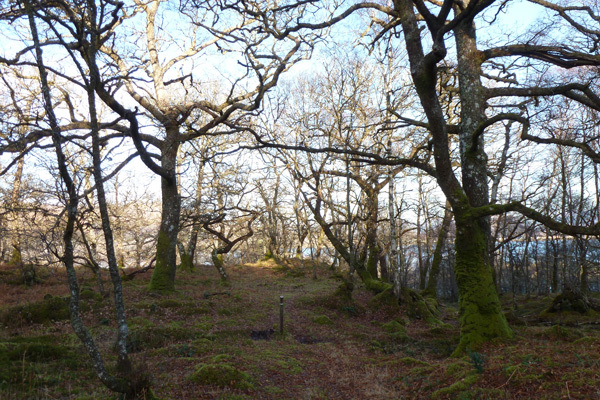 Camusnagual woodland (31.4 hectares) is variously composed of downy birch and sessile oak with both herbaceous/shrubby and moss ground floras. The former include bilberry (Vaccinium myrtillus), heath (Calluna vulgaris), wood sorrel (Oxalis acetosella), hard fern (Blechnum spicant), male fern and butler ferns (Dryopteris spp), whilst the moss assemblages include species of Dicranum and Sphagnum, Polytrichium commune and Hylocomium splendens. The upper slopes support mainly downy birch with purple moorgrass, merging into open heath (Calluna vulgaris and Erica tetralix, E. cinerea), with bog asphodel (Narthecium ossifragum) in the wetter areas. Tree species seen on route include ash, rowan, alder, beech, willow, hazel and holly, according to local conditions. Many of the trees are strewn with mosses and lichens, and some with epiphytic ferns; there are also some lovely venerable birches and oaks. Archaeological remains include woodland dykes, hut circles and lazy beds, associated with the crofting lifestyle and a long history of woodland management. 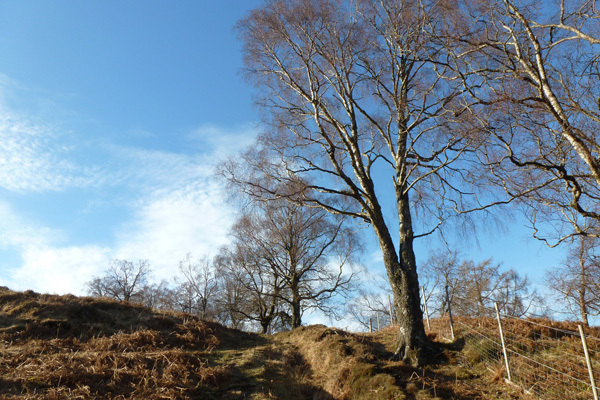 Look out for red deer, buzzards, raven and a range of resident and migrant woodland birds in Spring. Look out for otters along the coast. The start of the walk is indicated by an interpretation board and the route is marked by wooden posts. 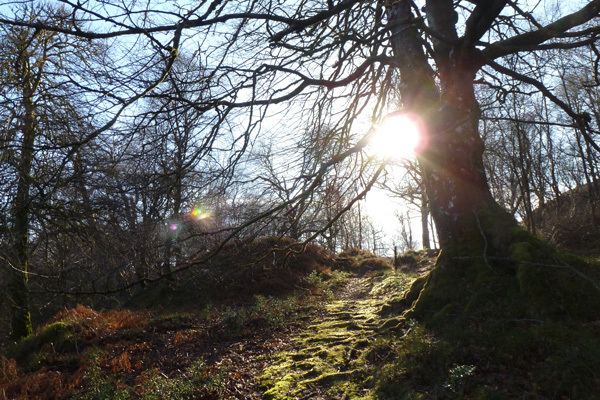 The walk is enjoyable throughout the seasons due to the abundance of mosses and lichens, both as epiphytes and as ground flora, and supported by a lovely herbaceous ground flora in Spring and Summer. Park by the small passenger ferry terminal (Camusnagual ferry), near a public telephone box at Treslaig, north of Treslaig Village Hall. Head north along the road towards the start of the walk, passing by some magnificent beeches on the left and crossing a small stream. 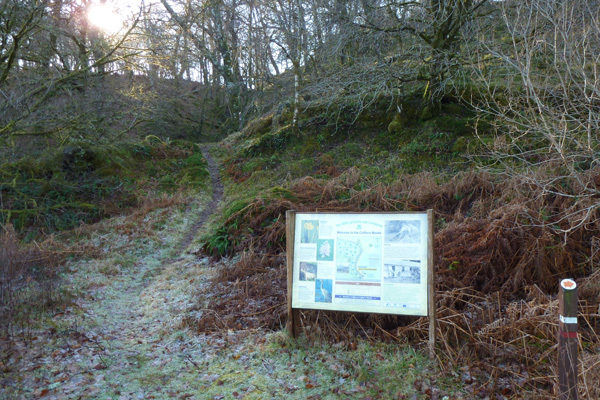 The start of the walk is indicated by an interpretation board. 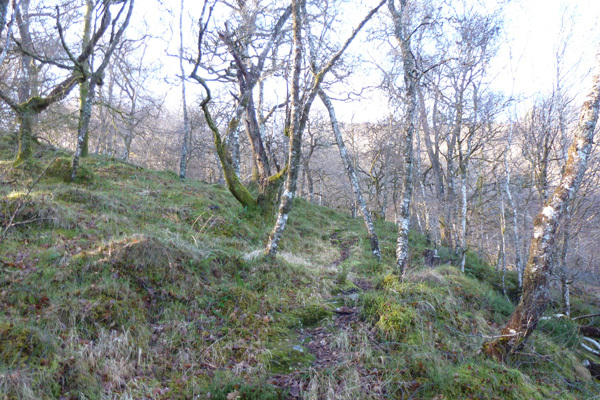 Head uphill along the Crofter’s Trail, following the marker posts, through deciduous woodland on a muddy path that can be a little indistinct in places. 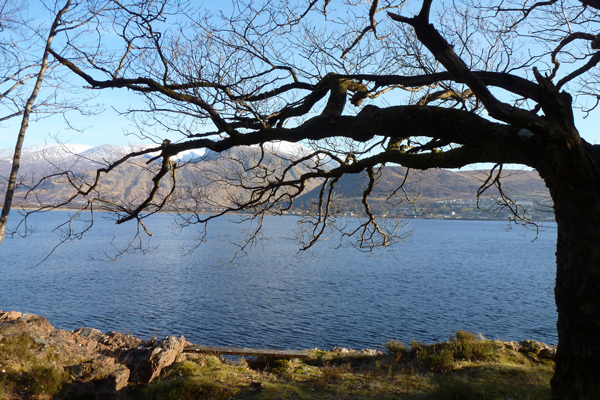 Look back on occasion for great coastal views over Loch Linnhe towards Fort William, Corpach and the Ben Nevis Range. Pass through a deer gate and turn right along a well defined path that skirts a drystone wall at first. Cross a small stream and continue with initially birch woodland on the left and beech dominated woodland on the right. Cross over another stream and continue to skirt along the hillside. As you ascend the birch woodland gives way to open heath. 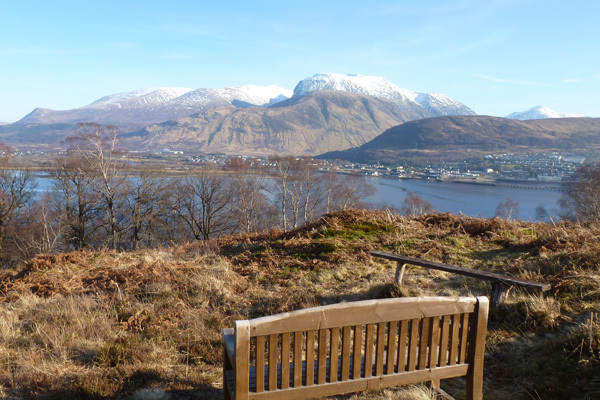 After skirting around a small fenced section, look out for a viewpoint with a bench. Pass through another deer gate after which the path begins to descend. Cross a small section of boardwalk and then another stream. 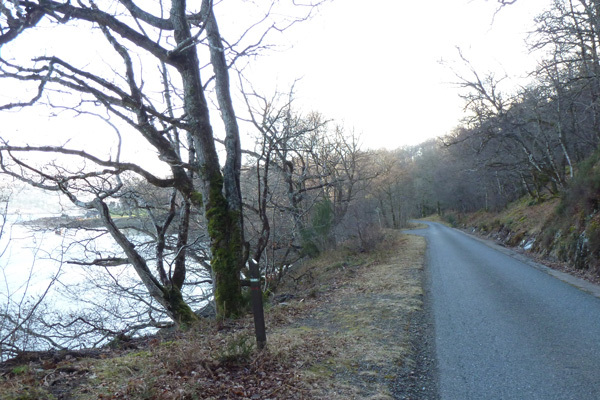 On reaching the coastal road, cross and continue on the opposite side, heading towards the coast through coastal oak and birch woodland. Continue on the path along the coastline, the path affording lovely coastal views. Turn left where the path meets the road and head back to the ferry terminal.